Such a simple question, yet the answer is a long one. Many off-the-shelf toothpastes contain a plethora of ingredients. But it’s a good idea to understand exactly what you are putting into your mouth on a daily basis and why. There are good cases for and against some of the most common ingredients. In this guide we look at those common ingredients: what’s natural, what’s needed and what’s controversial. Before we dive into the individual ingredients, we’ll cover a few key topics when it comes to assessing your toothpaste. Toothpaste: what’s it actually for? The primary role of toothpaste is to act as an abrasive by removing plaque around teeth and the gum line. This process is absolutely essential in avoiding gum disease and tooth decay problems — painful conditions that can lead to tooth loss. The secondary function of most high street toothpastes is the protection of teeth by the addition of fluoride. Pastes and gels contain a number of active ingredients. One such ingredient is fluoride, which acts to help kill bacteria and, more importantly, helps the surface of the tooth recalcify, when early decay has occured. Toothpastes are usually made up of abrasives, fluorides, foaming agents (Sodium Laureth/Lauryl Sulphate), detergents, flavourings and anti-bacterial agents. The problem is that some of the chemicals used are potentially harmful, as we discuss in more detail below. A number of dental professionals have stepped forward to explain that toothpaste alone, plays a small role in our oral health care, and that a greater emphasis should be placed on thorough brushing and flossing. In other words, the techniques we use to physically remove the bacteria are just as important, if not more so, in the prevention of gum disease and dental decay. The message is clear: we can’t look to toothpaste to assume the superman role of protecting our teeth. And some believe we should simplify toothpaste as much as possible. Despite the numerous claims manufacturers make (tartar protection! whitening! fluoride-free! extra-fluoride! ), toothpaste is merely an adjunct to a meticulous oral care regime. As important as toothpaste itself is, knowing how to brush your teeth properly, along with other activities like flossing, all have a very important role. The exact chemical content of popular toothpastes has been made the subject of scrutiny in recent years. It has emerged that some components are potentially harmful, while some additives – namely plastic microbeads – are needlessly present as decoration. While all chemicals are regulated, tested and monitored, what is disconcerting is that companies are not obliged by law to state exactly which ingredients are used within products. So while some may be listed, there is no law to enforce that all of them are. While the big companies are not using anything in their pastes that are known to be toxic, for some, it’s the lack of transparency that causes concern. This has led to a rise in popularity for ‘natural’ toothpastes, and DIY toothpastes made at home. What we wish to emphasise within this article is the need for you to do your own research. With some toothpaste ingredients, their level of safety or harmfulness is disputed among scientists and medical professionals. Often there is no definitive right or wrong answer. It is not our position to comment on the safety of ingredients – we are not medical professionals, nor scientists. Our role is to present the different arguments, and to draw your attention to existing discussions and evidence, so that you can make your own decision on which ingredients you are happy to use. 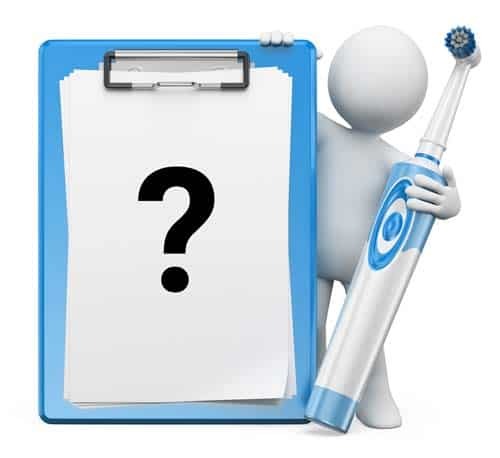 We’ve also included lists of toothpastes that do not contain certain ingredients in case you would rather not use them. It’s important to take a critical approach to marketing messages and manufacturer statements in any industry, but especially so when it comes to cosmetics that can contain a mixture of chemicals. Just because a manufacturer regards something as safe, it doesn’t mean you should blindly follow it. Statement about microbeads taken from P&G website. Given the evidence of microbeads being embedded in people’s gums (which we talk about in more detail below), to simply state that they are ‘safe’ is somewhat misleading. P&G uses the statement to justify the past usage of microbeads (they have now been phased out and are no longer used in the UK). But the fact is, they were decorative in the first place, and harmful to the environment. To simply declare them as ‘safe’ to cover past action shows a disregard for what’s taken place. One of the stats that came up in the recent parliamentary debate on the microbead ban was that: ‘it is estimated that 86 tonnes of microplastics are released into the environment each year in the UK from facial exfoliators alone’. So yes, perhaps the larger plastics are the ‘primary source’, but why does that mean we should not worry about smaller contributors like microbeads? They are still contributing, they are still harmful to the environment, and their inclusion in cosmetic products is / was far from necessary. For us, pages like this with their over-simplified, self-serving statements emphasise how important it is to do your own research and make your own decisions. In this section we’ll look at the most common components found in toothpaste, as well as some of the arguments that have been presented for and against them. Although we mostly look at products within a UK context here at Electric Teeth, throughout this article we refer to the U.S Food & Drug Administration (FDA) because it has a wealth of information listed on its site about individual chemicals. The UK equivalent is the Medicines and Healthcare products Regulatory Agency (MHRA) which only has limited information on this. The two do work closely with each other and share information, as is outlined here. It is also worth noting that regulations will differ between the US and the UK/Europe. As the UK leaves the European Union the regulation of toothpastes, and whether they are regarded as medicines or medical devices, may also change. People have been mixing substances together throughout history, as far back as Egyptian times, to clean teeth. Abrasives are used to cause a small amount of abrasion. Technically speaking, abrasion is the use of physical forces to remove substances. Some people may also describe this erosion. However erosion is different in that erosion is the use of acids to remove substances. In toothpaste, small particles act like an exfoliant to target the biofilm on teeth. Abrasive particles nowadays are made from aluminium hydroxide, hydrated silica, hydrated alumina, calcium carbonate, calcium hydrogen phosphates and hydroxyapatite. A radioactive abrasive index is used to measure how abrasive toothpaste is. Toothpaste with a higher abrasive index has been linked to a greater incidence of abrasive wear on teeth. However hard bristles and incorrect brushing technique, as well as high levels of acid in modern diets, is a greater cause of tooth wear. Symptoms of tooth wear, be they abrasion or erosion, include sensitive teeth and receding gums. Tooth wear can also form “holes” on the side of the tooth and may lead to teeth picking up staining more easily. Whilst too much abrasion can cause problems, without an abrasive you won’t achieve a comprehensive clean. Tartar control and whitening toothpastes are known to be slightly more abrasive. If you are a smoker, using smoker’s abrasive toothpaste will be more effective at removing staining compared to other brands, but also can cause more damage. Whilst abrasive toothpastes cause damage if used long term, they have a role in removing staining at home if used occasionally. Some of the most abrasive toothpastes on the market include Colgate Tartar Control and Crest Multicare Whitening. Arm and Hammer is also abrasive, and will cause damage if used regularly. Tooth abrasion can be avoided by using low-abrasive toothpastes. 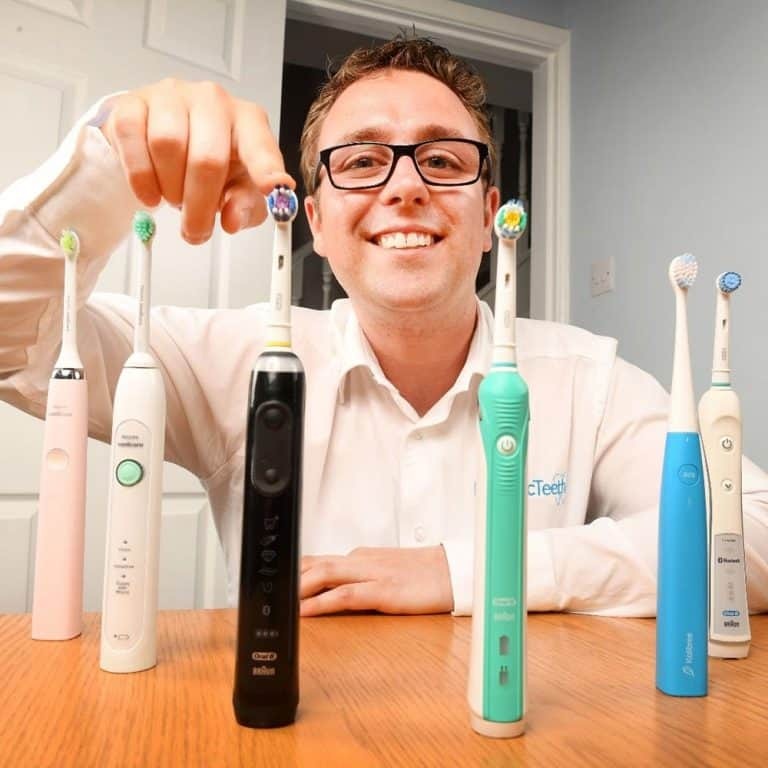 Freysmiles Orthodontics have published a list of best-selling toothpaste alongside their abrasive index. Anything below 70-80 RDA on the index is considered low-abrasive. One of the most readily available toothpastes on the list is Colgate Regular, but there are plenty to choose from. Have a look through the list yourself here. A less abrasive toothpaste is less likely to remove the outermost surface of the tooth, enamel. But beware that toothbrushing technique is also very important. If you are concerned you should consider your brushing technique too. Fluoride is an additive used to remineralise teeth, which helps strengthen dental enamel. Dental decay is essentially softening of the enamel. Bacteria in the mouth use the sugars and carbohydrates we eat to produce energy. Their waste product is acid. The acid produced by bacteria removes the calcium and other minerals from the enamel. This process is called demineralisation or decalcification. In the early stages these areas may appear as white spots, and can even pick up stains to become brown spots. Fluoride is naturally present in some water sources, plants and animals. The most common fluoride additives in toothpaste include sodium fluoride and stannous fluoride. Fluoride works to replace the calcium and minerals lost in the demineralisation/decalcification process. Fluoride binds with the tooth to form and even harder surface to reverse the decay process. This fluoride can be gained from applying toothpastes or mouthwashes. The way in which fluoride works is well documented and tested so that we know how much is beneficial. However, it is well documented that too much exposure to fluoride can harm the body. If we swallow too much fluoride it can be included in our teeth and bones in higher amounts, causing what is known as fluorosis. Whilst this is normally harmless in small amounts, it can cause disease in large amounts. Fluoride in very high doses is also toxic, and NYR Natural News claims there is ‘enough fluoride in half of the average tube of toothpaste to kill a small child’. How much fluoride children are ingesting is obviously a worry to adults training their children not to swallow the paste. This is especially difficult considering the flavourings used to encourage children to enjoy brushing. This is why childrens toothpaste has a lower amount of fluoride in it. In addition to the fluoride we put in our mouths, in some parts of the world, we are exposed to fluoride on a daily basis through our water supply. In the UK this is very limited, but does occur in areas of The Midlands, whilst in the USA some areas have naturally high amounts of fluoride in the water supply. India and Nigeria also have high amounts of fluoride in the water. While it is generally agreed that fluoride is overall beneficial to the teeth, some people worry that they are ingesting potentially harmful amounts. In the US the FDA does not allow for a high concentrations of fluoride to be allowed in toothpastes as it can damage developing teeth. Some people argue the current concentration is too weak to have any real effect. Another problem is that the fluoride can’t work until all biofilm has been removed, so some dentists suggest applying a mineralising paste after brushing, such as GC MI Paste. Such pastes use different minerals to help re-harden the teeth and can eliminate the need for fluoride containing toothpastes. If the normal precautions are taken (i.e. using a pea-sized amount of toothpaste twice daily, and don’t swallow the paste after use), then fluoride is safe for the majority of the population. Fluoride is only unsafe for very young children (0-3 years) and people with a fluoride allergy. According to the American Dental Association, children should be introduced to fluoride in very small, pea-sized doses between the age of 3 and 6. Adult toothpaste should not be used on children because of the fluoride content. Using a toothpaste without fluoride will mean that you do not get the protective remineralization effect of regular toothpaste. This may not be a concern if you are of very low risk of dental decay or tooth wear, but you could discuss this with your dentist. Some toothpastes use an alternative to fluoride to help the tehet remineralise, for example GC Tooth Mousse which uses a type of calcium phosphate. If you do decide to opt for a toothpaste without fluoride – either as a way to reduce your fluoride intake or because you have an allergy, below is a list of fluoride-free toothpaste brands for you to consider. This toothpaste ingredient has caused uproar in recent times. A petition to ban the use of microbeads garnered more than 300,000 signatures and the UK government pledged to ban them in 2017. Following a parliamentary debate microbeads are now banned in cosmetics, within the UK. For more information see our write up on the debate and the UK microbead ban. It was in 2014 that dental hygienist Trish Walraven first spotted that plastic from toothpaste was being embedded in patients’ gums, prompting her to launch her own investigations. She found that these blue specs don’t dissolve in alcohol or acetone, and that Crest/Oral-B avoids stating overtly that they are using polyethylene on their ingredient list on the tube. Ms Walraven also noted that the beads were getting trapped in the sulcus surrounding teeth. You can read more about her findings here. Ms Walraven’s blog garnered enough attention to make national news. While the American Dental Association did not retract its seal of approval for Crest’s plastic pastes, the public outrage did provoke the company into agreeing to phase out the use of microplastics by the year 2016. Do your own research – you can’t necessarily trust what’s in store-bought toothpastes, which one would naturally assume are ‘safe’ for consumption. It took a dental hygienist to notice and test this arguably harmful ingredient! Despite the findings, Crest continued to insist that its microbead toothpaste was safe to use and the American Dental Association did not retract its seal of approval for Crest’s plastic containing pastes. This gives you a good indication of to what extent you can trust such a seal. Again, always double check ingredients for yourself and decide what you are personally happy to put in your mouth. Aside from health and safety concerns, these beads are proving harmful for the environment and for the fish population. This GreanPeace article explains in detail how microbeads are harmful for the environment, but in a nutshell they are so small that they cannot be filtered out of our sewage system and end up stuck in the water supply. So even though the likes of Crest can argue that microbeads are ‘safe’ in their toothpaste, the secondary effect is that they pollute the environment. It’s worth noting that Polyethylene is on the FDA’s prohibited list as it may lead to 1,4-dioxane contamination. 1,4-dioxane is a cancer-causing chemical. It’s also present in SLS foaming agents. Prior to the new laws that are about to be passed, parent company of Oral-B and Crest (Proctor & Gamble) were not required by law to remove it from their toothpastes because the levels are so low that current organisations have deemed it safe for humans. We would urge you to reconsider your use of any toothpaste or beauty product that uses polyethylene / microbeads, both for the good of your own health and for the environment. The majority of toothpastes on sale in the UK come without microbeads / polyethylene. We’ve created a separate article that lists the few toothpastes that may still contain them. It also lists plenty of toothpastes without microbeads. Triclosan is an antibacterial ingredient. It works by fighting the bacteria that cause dental decay and gum disease. Triclosan has been tested in clinical trials and how effective it is at removing bacteria has been proven. 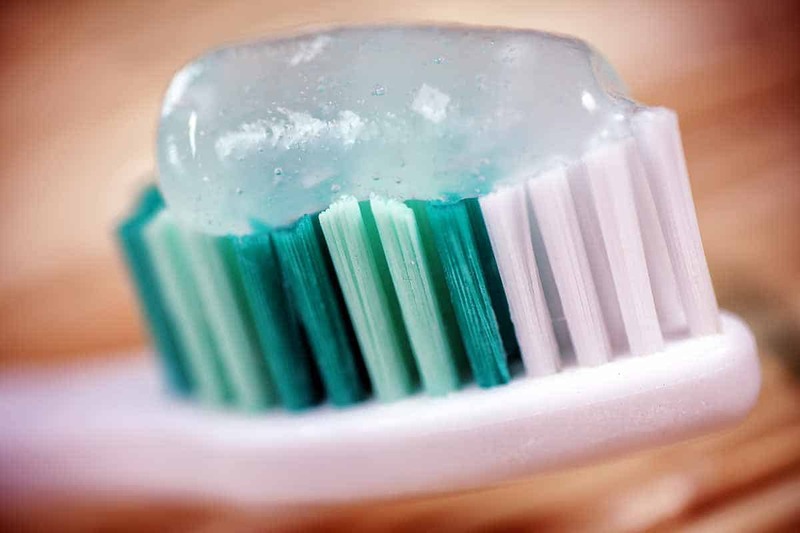 Studies have shown that triclosan-containing toothpastes are particularly effective for patients with additional needs, and who are unable to brush well. In these cases, triclosan containing toothpastes are more effective than fluoride-containing toothpastes. However, triclosan is another additive that’s safety has been questioned by some. These concerns relate to the fact that triclosan is an antibacterial, and so can upset the balance in your mouth, possible links to cancer, and that it may also contribute to antimicrobial resistance. Dr Mark Burhenne of askthedentist.com suggests that Triclosan acts like a kind of nuke, obliterating both bad and good bacteria in the delicate eco-system of your mouth. This is exactly the same as how if you take antibiotic tables they can also remove the good bacteria from your stomach. Conversely, other prominent dental professionals, such as Ms Trish Walraven (responsible for exposing Crest’s use of polythene, as mentioned above), argues that science has found that Triclosan does more good than harm. In 2014 the American Dental Association (ADA) released a statement announcing that the only paste to which they have afforded their seal of approval regarding triclosan is Colgate Total. The ADA rarely affords its seal of approval to any toothpaste manufacturers outside of Crest and Colgate. The majority of toothpastes do not contain triclosan. For children under the age of 6, Oral-B Stages offers Disney-themed cavity protection without triclosan. The Green People Company offer a paste for kids without SLS, fluoride, artificial flavours or triclosan, and a mint-free organic option for adults. Another popular choice is Aloe Dent Aloe Vera Sensitive fluoride- and triclosan-free paste. For an all natural paste, try Redmond Earthpaste. SLS is a detergent that is used as a foaming agent. It’s used in products like toothpaste and shampoo so that the substance lathers, enabling us to spread it easier. In toothpaste, it’s a type of soap that helps to dissolve dental plaque. SLS’s toxicology has been called into question, but some recent studies have proven it’s not a carcinogen. What can potentially cause cancer is 1,4-Dioxane contamination. 1,4-Dioxane is a by-product of SLES, sodium lauryl ether sulfate. Trace levels must therefore be measured. In the US the FDA encourages manufacturers to remove 1,4-Dioxane, but federal law does not enforce this. “In one trial, 90 people who regularly suffered from mouth ulcers were asked to try 8 weeks on a toothpaste with SLS, and 8 weeks on an SLS-free toothpaste. The trial was ‘double-blind’, so neither the participants nor the researchers knew who was using which toothpaste. The researchers found that the SLS free toothpaste did not reduce the number of ulcers or the frequency with which people got them. Colgate deems SLS detergents ‘important’ in allowing foaming to occur. SLS is the reason foaming occurs. And foam is arguably an unnecessary component in brushing. It doesn’t help clean the mouth, all it does is provide a lather for you to spread the product around more easily. Tom of Maine’s Clean & Gentle Toothpaste: This one has no SLS, but some of their other toothpastes do include it. This one is Generally Recognised As Safe (GRAS) by the FDA. It occurs in nature, but can also be manufactured. It is not silicone, and not it’s toxic namesake, crystalline silica. It’s a derivative of silicone dioxide. What’s worrying about hydrated silica is that it can be contaminated by crystalline silica, so some manufacturers subject their hydrated silica to an x-ray process first before using it in pastes. For some people, using a material that must be x-rayed first is a little disconcerting. Try Redmond Earthpaste — it has very few ingredients, and all are natural. Parabens are an ester used as a preservative, therefore helping the toothpaste to last for a long time and in good condition. Parabens stop the toothpaste from becoming contaminated, and works by killing mould and fungus. Paraben is used in so many products that it is now difficult to establish how it is affecting us. One study has linked overexposure with breast cancer, and with so many products marketed at women infused with parabens, it’s no wonder both men and women alike are seeking out ‘paraben-free’ products. Sorbitol is a naturally-occurring chemical that is used as an artificial sweetener. Sorbitol is a sugar alcohol that is used as a substitute for sugar, and is often found in sugar-free cakes and candy. In toothpaste, sorbitol helps make the flavour more appealing. As a sweetener, sorbitol does not feed the bacteria in the mouth, and so does not increase the risk of dental decay and gum disease. In some people, and at higher doses, sorbitol can cause flatulence, bloating and can aggravate irritable bowel syndrome. Sorbitol is an ingredient that is listed as Generally Recognised As Safe (GRAS) by the FDA. Xylitol is a sugar alcohol that is used as a sweetener. It occurs naturally in some plants, fruits and vegetables. Like sorbitol, it helps to make the flavour of toothpaste more appealing. As a sweetener, xylitol does not feed the bacteria in the mouth, and so does not increase the risk of dental decay and gum disease. Xylitol also helps protect the teeth and gums as it helps fight bacteria in saliva that causes tooth decay. It is reported that using up to 20 grams of xylitol per day can significantly reduce the rate of cavity formation in both adults and children. Some studies have proven that xylitol is effective in preventing caries on the root surface of the tooth. Because of it’s effectiveness, xylitol is also added to sugar free chewing gums, such a Wrigley’s Extra, to help protect the teeth. Xylitol is more expensive that sorbitol, so its presence in toothpaste is owing to its antibacterial properties. Xylitol is great for people suffering from dry-mouth. Xylitol can be sourced naturally. Check your toothpaste for non genetically-modified xylitol, such as in Redmond Earthpaste (sourced from corn and birch for use as a ‘natural sweetener’). Like with many toothpaste ingredients, this substance is carefully regulated. It is not advised that we consume more than 50 grams per day. It’s not suitable for women who are pregnant or breastfeeding as not enough is known about its side-effects. Potential side effects following over-exposure include bloating and diarrhea. Xylitol is toxic for dogs so be careful which paste you are brushing your pet’s teeth with. Xylitol is everywhere because evidence shows it is good to help prevent tooth decay. There are currently very few pastes on the market that don’t contain xylitol. Many tests have shown it works wonders for teeth, but it could be toxic in large doses if swallowed. 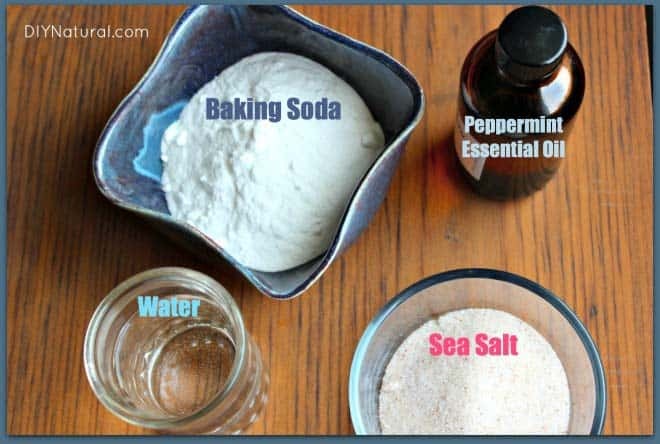 If you would like to make a paste with minimal ingredients, see our recommended DIY toothpastes below. We have included activated charcoal in this list because of its recent rise in popularity, which we have written about in detail in our charcoal toothpaste guide. It’s not an ingredient per se, but rather something that toothpaste can be made of. It comes in the form of either powder or paste and is used for at-home teeth whitening. At this moment in time there is little scientific proof to show whether or not using activated charcoal for whitening is safe, or not. We look in more detail at charcoal toothpaste and what has been said about it in this article. If you do decide to use charcoal toothpaste, we recommend proceeding with caution due to the current lack of evidence of its long term effects. Taking into account what we’ve said above about toothpaste ingredients, you may be wondering what the safest toothpaste is, especially if you need one to give to your children. The problem is that some toothpastes contain a number of chemicals that are allowed on the market as science hasn’t yet proven them unsafe. At present there are no reports or studies that scientifically prove more regular toothpastes to be unsafe. Most dental professionals will recommend branded fluoride-containing toothpastes as they believe the benefits of the added ingredients will outweigh potential harm from other ingredients. And while some ingredients are included in the toothpaste because they help promote dental health, it’s unknown what long term side-effects could be. As consumers we look to organizations such as the American Dental Association to approve or reject products for us, but with chemicals like triclosan, tests are still being conducted. The ADA is supposed to regulate the dental market, yet it did not take steps to condemn, nor remove its seal of approval for Crest when it emerged that the company’s toothpaste was using microbeads, which were found embedded in gums. Had the problem of microbeads in toothpaste not been discovered by a dental professional, one has to wonder how long the products would have been regarded as ‘safe’ or before scientific testing proved they were problematic. All in all our recommended toothpaste if you want to avoid any artificial chemicals is Redmond Earthpaste (view on Amazon). However, as we stated at the beginning of this article, you should also do your own research and decide which chemicals you feel are necessary, and which you feel should be avoided. Another site, Gimme The Good Stuff, has a good write up on which toothpastes are safe and recommends Earthpaste. It also includes a list of toothpastes to avoid, and those that it regards as ‘sneaky’. To provide further examples, if you have a problem with tartar, you might look to a tartar-control toothpaste. 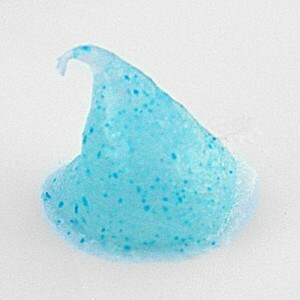 The problem is that these have a high abrasive content, which could cause damage to enamel over a long period of time. Similarly, some brands have chosen to keep triclosan in their formula as it obliterates bacteria, allowing them to claim that their toothpaste is particularly effective — but this also means destroying good bacteria needed in your mouth. There is also speculation that it helps build antimicrobial resistance in bacteria. So while these ingredients are not regarded as dangerous nor toxic, your personal choice may be to avoid them based on your own situation. Our personal choice is to stay away from toothpastes containing SLS, triclosan, polyethylene (microbeads) or pastes that have a high abrasive content. When it comes down to it, toothpaste isn’t the single most important factor to protect your teeth and gums. All in all we just need it to make brushing easier and more effective. If you are in any doubt about the ingredients used in your toothpaste, try making your own paste or choosing from organic, natural products that stock to what we know if safe. If there’s a particular type of toothpaste that you are looking for, free of or containing specific ingredients, check our list below. If you’ve got any of your own to recommend, be sure to let us know in the comments. Note that non-inclusion on a list does not imply exclusion by omission, we’ve simply listed a few products for each category that are known to exclude/include the ingredient in question. We’ve recommended Earthpaste frequently throughout this article. At present it is our favourite choice. You can order it here on Amazon, or read more about it here on the Earthpaste website. Only 7 ingredients — all natural! What often surprises people is how little you really need from your paste. Some dentists even advocate dry brushing! Most dentists will recommend fluoride because of the evidence showing the benefits in protecting the teeth from dental decay. Home-made toothpaste will not be able to include this. Be aware that because these are not tested professionally we also can’t comment on the abrasiveness. My doctor suggested I avoid toothpaste with sodium laurel sulfate, sorbitol and xylitol because of my trouble with dry mouth and irritable bowel syndrome. I was surprised to find how many toothpastes had SLS and how few had complete labeling of inactive ingredients. I appreciate your efforts to inform us about these ingredients. It looks like I’d be better off making up my own paste. Any thoughts? Thanks. I would ask your dentist what they recommend in your scenario, presumably they did not give a recommendation? From checking a few of the more natural options, including Earthpaste, they often contain Xylitol, which is one of the ingredients you have been advised to avoid. There are options which exclude almost all the ingredients you mention, but finding one that excludes them all is a little more tricky. Whilst making your own paste is an option it is not always the best option or the most practical, particularly as fluoride is an ingredient often recommended to help keep teeth healthy, but you have not been advised to avoid that. Thank you! Of course I should ask my dentist. Why didn’t I think of that? I appreciate your consideration of my difficulty. Making my own toothpaste isn’t really practical. I did let my doctor know that I couldn’t find any toothpaste without the ingredients she told me to avoid. She replied that SLS was the most important problem and I see there are several options in that category. I will check them out. Thanks again for your excellent work. I get a strong sense from your presentation style that you take a lot of pride in being detailed and concise. I have recently finished reading a lot of your articles and I have to say I’m thoroughly impressed with the depth of knowledge and clarity of all this invaluable and free information! I have learnt a lot and consequently my dental hygiene has improved immensely. I know this is horribly pedantic but you have accidentally spelled silica incorrectly a couple of times. No problem with pointing out spelling errors. Of course not intentional, but I can confirm I do believe have now corrected these. I am looking for a silica-free toothpaste. I have exposed roots at the gum line and use an electric toothbrush. How abrasive is hydrated silica? Please advise. Hydrated Silica is an abrasive agent found within toothpaste. As I understand it is considered safe by leading organisations and is relatively low on the scale of abrasivity. However, I am not a dentist or scientist to be able to give you the full information on this particular ingredient.